Mountain Mavericks Formula 2 Team!! This weekend the amazing Tim Barrington and team take on the first race of the season at the Nuerburgring in Germany! The race kicks off the 2014 race season which Tim placed 2nd in last year and was champion of in 2012! 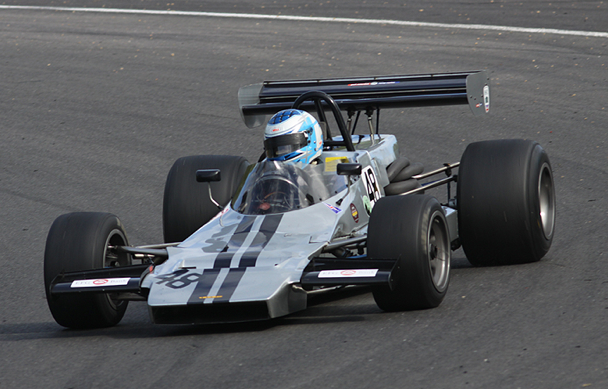 The Historic Formula 2 is the European Championship for Formula 2 cars that raced pre 1979. If you want to read all about it the Historic sports car club website has so much information including all the event information should you want to go along and cheer them on! It also have a live timing and commentary page so you can listen to the action and see the results in real time! We will be catching up with Tim next week to see how the race went and find out his plans for this seasons competition schedule! Previous: Frogs Rafting Top Ten White Water Tips! Next: Come and Enjoy Summer on the L’aubergade terrace!